Pub in Camberwell, on Camberwell New Road, with a focus on craft beer. 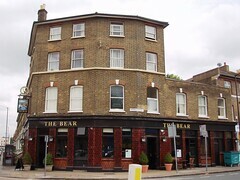 Note: The Bear closed for refurbishment in November 2017, due to the landlord converting the upstairs to flats. They initially announced they'd be reopening in 6-8 months, but as of September 2018 commenters on Camberwell Online report that the building work is still ongoing. It previously reopened under new management in April 2016 after a period of closure, and is quite different from how it was before (see earlier version of this page for what it was like then). It still has two rooms with painted brickwork photo. There are a small number of tables on the pavement, and the old (small) beer garden is out the back with a couple of tables, if that. 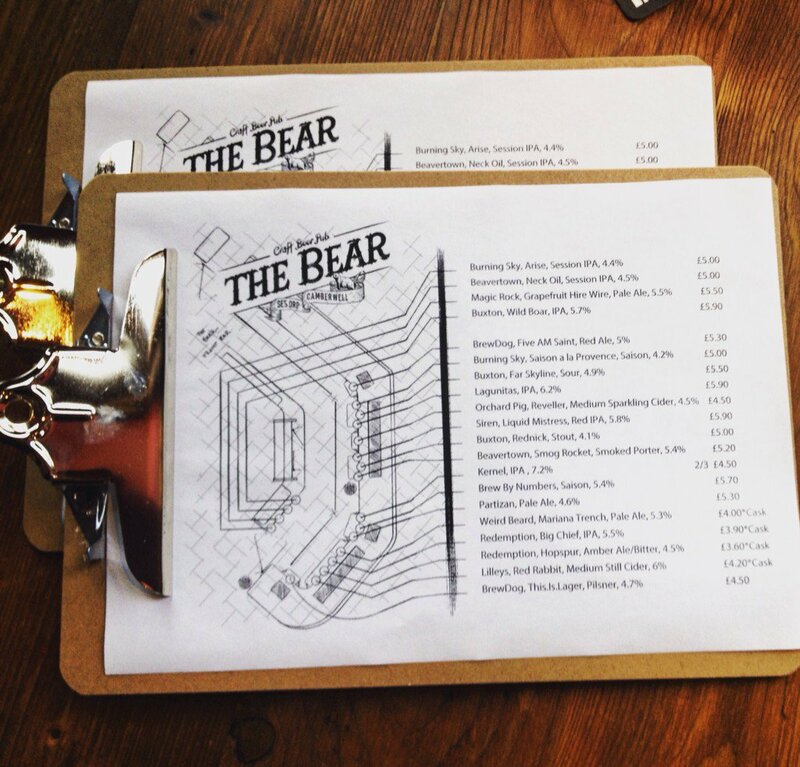 It has four handpumps and 16 keg taps. 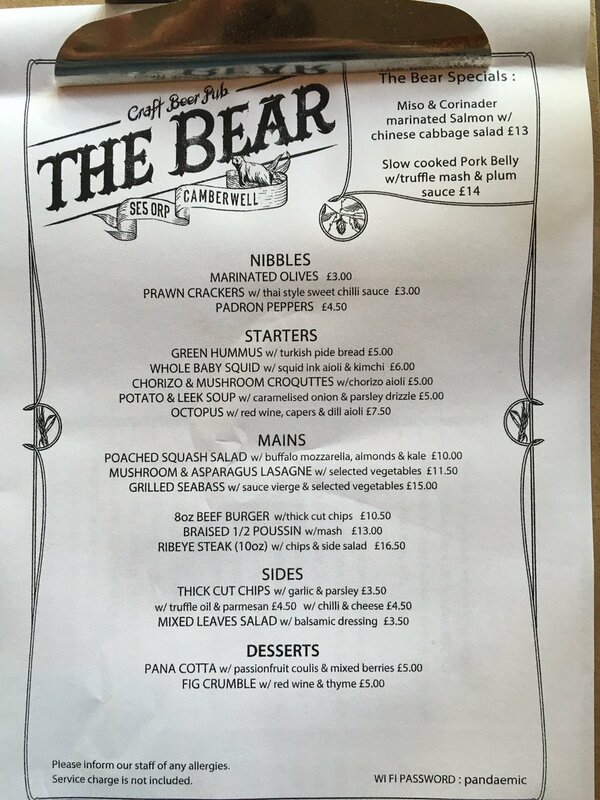 On secretlondon's May 2016 visit, as well as the beers photo of beer list they had one draft lager by Brewdog and one cask and one keg cider. Cask beer was about £4/pint, and keg beer between £4.50 and £6. secretlondon has visited a couple of times since the reopening, both in May 2016. On one visit on a weekday evening it was quite quiet. I had a few beers and it was quite pleasant. I came back on a Saturday evening around 7pm and it was unpleasantly noisy, with lots of loud groups, banging on the tables, and raucous laughter. A young middle class crowd (almost?) entirely white. It was quieter in the back bar but it was filling up and getting noisier. There was a table full of board games but it didn't look like anyone was playing them. They don't do pub quizzes any more and seem to have one off live music. They do food, but as before it's quite upmarket and expensive. 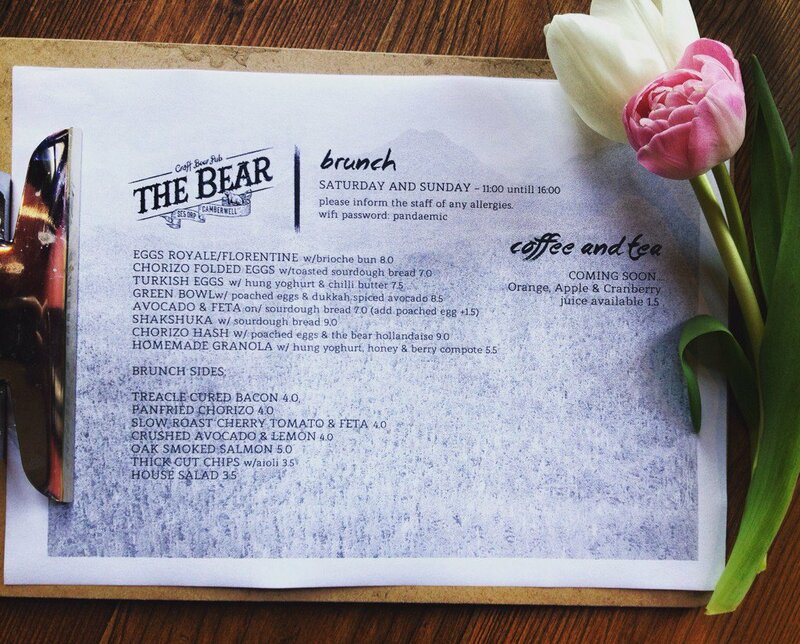 As of May 2016, mains start at about £10 photo of menu, and they do brunch at weekends photo of menu. 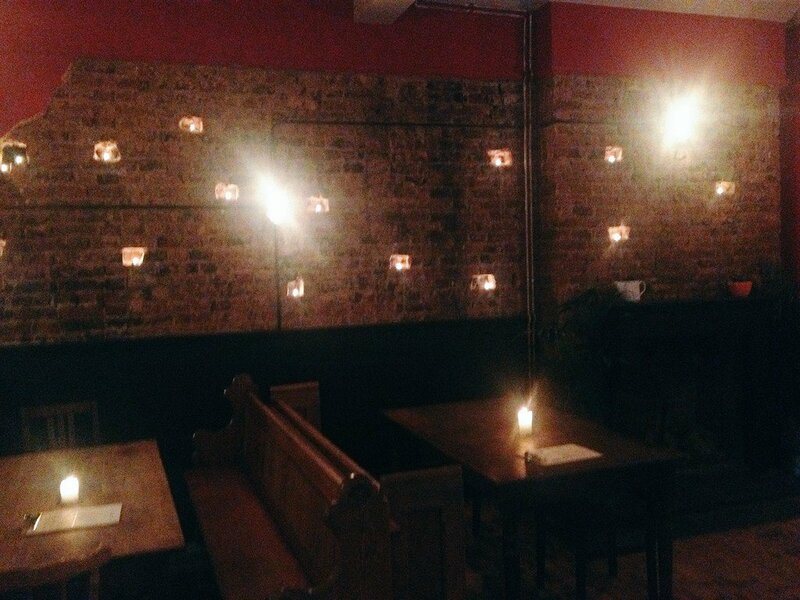 secretlondon's verdict: The selection of beer is good. The clientele on Saturday night were too much for me but it's probably fine during the week. Last edited 2018-11-19 14:15:06 (version 55; diff). List all versions. Page last edited 2018-11-19 14:15:06 (version 55).